Q. 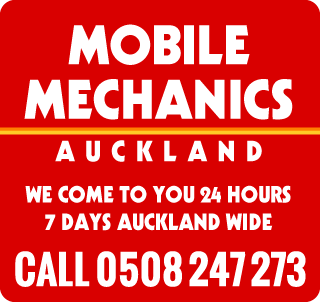 Can Auckland Mobile Mechanics Do all car repairs and services? A. Yes we are mobile workshops, this means when you call us for a Mobile Mechanic we book in a technician to come out to your location for most car repairs and car services, vehicle inspections, breakdown services and more! Q. Do you need to be a member? A. No, we come to you for repairs and services just like a local workshop, we are not a car club, we do not have ongoing membership fees, you only pay as you need us. Q. Do you open on the weekends? Q. How Soon can I get a technician out to come to me? A We provide same day or next day service. You can also book in advance. Please tell us when you require urgent Roadside Breakdown Assistance. Q. Do you do quotes? All our services and repairs are fully guaranteed work – not just a patch up to get you going. If your vehicle requires repairs that cannot be done onsite, we can also assist you further!